Hyundai’s Latest Sunroof Shatter Scare — Auto Expert by John Cadogan - save thousands on your next new car! When your under-warranty factory glass roof in your fully loaded i45 Premium explodes like a gunshot at 100km/h, spraying broken glass on you and all over your kids, giving them superficial cuts and incidentally slicing into your leather seats, your number one consideration in the immediate aftermath is probably relief that nobody was killed or injured in a crash that might have been caused by the incident, and your kids weren't blinded by the glass. Your number two consideration is getting immediate support from the company. Unluckily, in as far as consideration number two goes, Hyundai Australia and its Ferntree Gully dealership dropped the ball on Ms Ross - in breathtaking style. Hollywood couldn’t have done it better. I’m thinking: James Cameron, eat your heart out. If there were an Olympic event for poor customer service, perhaps a biathlon, this is the gold medal-winning performance. Ms Ross told me she stopped the car as soon after the malfunction as it was safe to do so - about one kilometre up the road. Glass was raining down on the kids, and they were, understandably, screaming. I spoke to Ms Ross shortly after we both appeared on Channel 7’s Sunrise on 22 January. Her first call at the roadside was to the Hyundai customer care line, where she laid out her predicament - only to be told by a fairly nice bloke named Derek that no tangible assistance would actually be forthcoming. Ms Ross was forced therefore to drive around 100 kilometres to her local dealer in Ferntree Gully - with the kids’s heads wrapped in towels to protect them from ongoing random showers of broken glass. That must’ve been memorable. At the Ferntree Gully dealership, the Keystone Cops-style ‘assistance’, or absence thereof, continued. This story is about not only a lack of customer care, but of complete customer abandonment. It’s also one of those rare insights into what really motivates car company behaviour. Ms Ross posted on the Hyundai Facebook page (see above) and talked to Melbourne Radio 3AW’s Neil Mitchell. Read the 3AW post here. Channel 10’s Eyewitness News picked up the story that night, and Channel Seven ran with it (and me) the following morning. By then, with Hyundai smarting from the media spanking, Hyundai Australia’s Chief Operating Officer, John Elsworth, had arranged a replacement car, and Hyundai issued a statement to the effect that solving Ms Ross’s problem was suddenly the “highest priority”. Ms Ross told Mr Elsworth his support was 24 hours too late. She gets 13 out of a possible 10 in my book for the courage of her convictions, in my view. COOs generally don't like being told that. The only appropriate company/dealer response in a situation such as this is unmitigated support - off the bat. First call: ‘That’s terrible; here’s how we can help’. Instead, Ms Ross got: tumbleweeds, and extreme unhelpfullness. Hyundai is currently spending millions in support of its current slogan ‘We Do’ … only as it happens in this case the marketing message is exactly out of phase with reality, which is: We Don’t. Obvious question: How much would it have cost for a tow truck and a hire car? Less than the brand damage that followed, that’s for sure. The dealership’s response boils down to ‘go away’ - something of a 'don't care' double-whammy during a very stressful day for Ms Ross. And the car was well and truly under warranty. Five years; unlimited kilometres. Hmmm … 2010 plus five equals? Yep; still under warranty. Dealers and car companies break relationships with customers all the time, just like this. The only acceptable response to an event like this is: “We’re very relieved you and your family are OK. This is obviously a serious problem. We’re giving it our full attention, starting now. Let me organise a replacement car and a ride home, and after that’s sorted I’ll be contacting the technical team at head office and we’ll begin an immediate investigation. I’ll call you with an update in 24 hours.” Or words to that effect. Even a lawyer would agree (because there’s no admission of liability). How hard is it? It’s called ‘customer care’, not 'customer don't care'. It takes millions in marketing to convince customers to make a substantial consumer purchase - but a three-dollar approach to customer service can smash that attraction to elementary particles in a heartbeat. This is self-evidently untrue. Hyundai is a company - a separate legal entity. It is therefore unable to empathise or experience concern. It lacks human emotions. This is merely a PR ploy to ameliorate the concern of those who read it. Hyundai’s only motivation is to generate shareholder return. 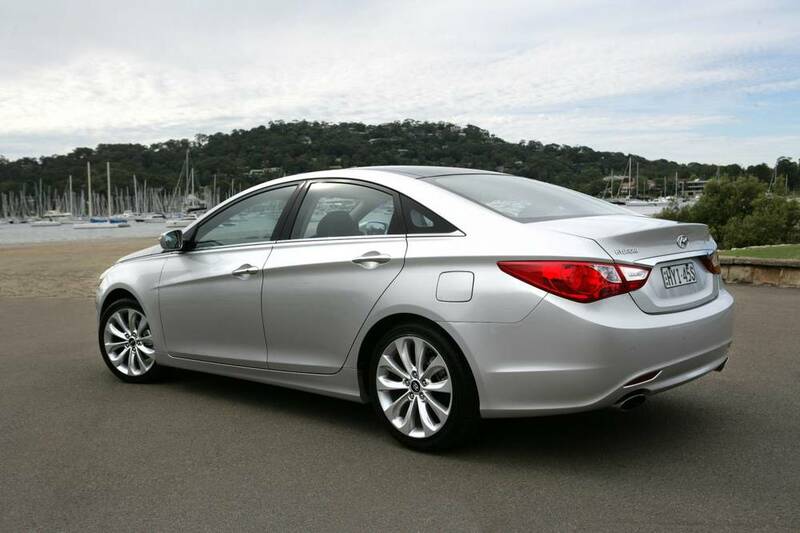 In the case of an importer like Hyundai Australia, that means to meet or exceed its sales targets. Hyundai’s ‘concern’ (to the extent that this is possible) began only after the incident blew up on 3AW. 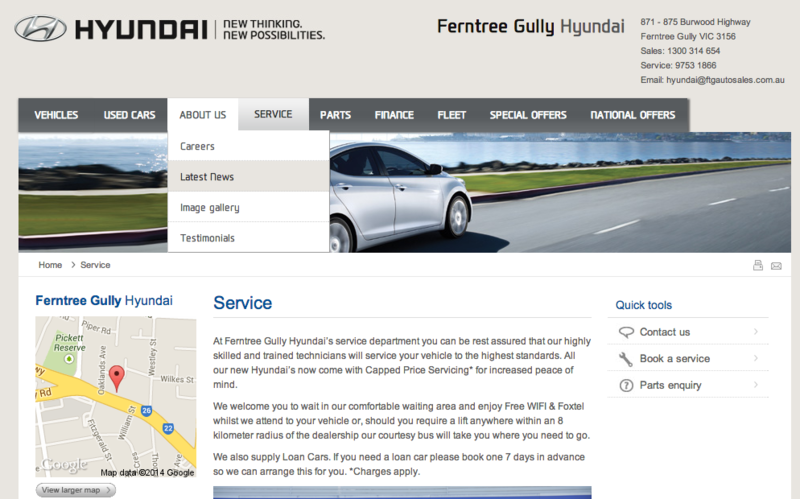 Therefore, Hyundai’s ‘concern’ flowed from the negative media coverage the event had generated, and the potential for this to damage its reputation, not from the predicament Ms Ross found herself in on the day before, during which she was fobbed off by both the company’s customer ‘care’ department and also the local dealership. This is an important distinction for consumers to realise: they’re separate things. Ms Ross’s predicament was something neither Hyundai nor its Ferntree Gully dealership could fundamentally have cared less about. The media coverage was quite another matter. Car companies are obsessed with everything said about them in the media. They pay hundreds of thousands of dollars a year to monitor it, and orders of magnitude more to influence, massage and manipulate the views of key journalists by staging ostentatious launches and other media events here and overseas. Ms Ross told me that during this initial contact with both Hyundai and the Dealer no expression of concern was apparent at all. The issue that was almost certainly being addressed with the highest priority was not Ms Ross’s predicament, but media damage control. In my own view, Hyundai’s primary concern is not customer safety, but its own reputation, which it spends tens of millions of dollars crafting and carefully managing annually. To the extent that potential danger to customers can impact that reputation, customer care is a concern to Hyundai - only not a primary one. When the Chief Operating Officer of the company issues a statement about a customer’s defective vehicle, that tells you just how serious a business media damage control really is. Furthermore, frankly, this is not an “exceptional circumstance”. Hyundai recalled 13,000 Velosters for the same problem last year - some 882 of them here in Australia. Its sister company, Kia, is currently being investigated by the US National Highway Traffic Safety Administration over shattering glass roofs in its Sorento SUV - which could lead to a further 65,000 vehicles being recalled. (Source: http://www.pmkm.com/r-timothy-morrison/worries-exploding-sunroofs-prompt-recalls) Apparently spontaneous glass shattering is something the company is pretty good at (right). You can read more on the Veloster recall in Australia here. Not commenting on the cause is a classic PR ploy - it’s a play for time in the hope that the news cycle will whip the issue away before the egg - and the accountability - lands on the company’s face. In its statement, Hyundai goes on to distance this incident from the Veloster sunroof recall, citing it as an “isolated incident” and saying the Madie Ross incident and the Veloster recall are unrelated “given they are separate models, each using unique parts”. So that would be … ummm … five ‘unrelated’ and ‘isolated’ incidents all involving the same roofs in the same model of car, here and in the USA. Where the same recalls have taken place for Veloster. Apart from that, they are, as the statement purports, unrelated. Although the sunroof parts are in all probability mostly different to Veloster’s, as Hyundai says, the underlying internal engineering standards and practises to which they are designed and tested are likely to be very similar, if not identical. This seems to me like a case of smoke and fire being highly related. This is not solely an ‘Hyundai’ problem; it’s a car industry problem. You could cross out the word Hyundai in this story, and insert any of the top 20 manufacturers, and change the names, places and details, and the same story pertains, thousands of times each year. It’s an industry-wide problem. Thousands of potentially repeat customers are lost each year because car companies demonstrate they really don’t care in this and related ways. It shouldn't take a Madie Ross-style monumental media arc-up to receive platinum-class customer service. It should just be forthcoming because car companies should simply stand by their products - especially when they fail in such spectacular fashion. First, the car company does not care about you unless you demonstrate the courage to damage its reputation. Therefore, if you get fobbed off and you have a legitimate concern, contact the broadcast media - radio and TV - because if there’s one thing a car company hates more than reading about itself in a negative context, it’s hearing the same thing live, on air. (Trust me on this; radio and TV is a large part of what I do.) Don’t take ‘no’ for an answer from the car company or the dealership. Don’t bother with consumer affairs - engage the media. Rapid response: Guaranteed. Second, buying your first car from Brand X is easy. How they treat you when the chips are down is what counts when it comes time to buy the next one. You’d think car companies would understand this by now, but they are strangely Dickensian on this issue. They need to talk to Apple. Third, car companies care about only one thing: Sales/profit. Flipsides of the one coin. Car companies are bereft of feelings. They lack the capacity to manifest them. Their emotional appeals are designed for only one thing: profit. They do not care about you. If they were people, they would be clinical sociopaths. The people running the company might not be sociopaths, but as a collective that’s the behavioural model. Of the 16 traits of sociopaths enumerated here: http://www.psychologytoday.com/articles/201305/how-spot-sociopath, I reckon Hyundai's customer care aparatus ticks 10 boxes (and three of the 16 don’t apply to non-persons). What this means is: you can shame car companies into ‘caring’ (read: taking action), and you shouldn’t feel guilty about doing so. You can’t hurt their feelings, but you can humiliate them into action. Likewise screwing dealers down on price - another ‘no hard feelings’ sport. Read more on how to beat a car dealer here. In reality neither party (the company or the dealer) wants to have a relationship with you - they want you to invest in a unilateral emotional connection with them. Hot tip: don't bother. Contact me here if a car company has dropped the ball on its customer care obligations with you. I’d like to help you tell your story and get your problem solved.